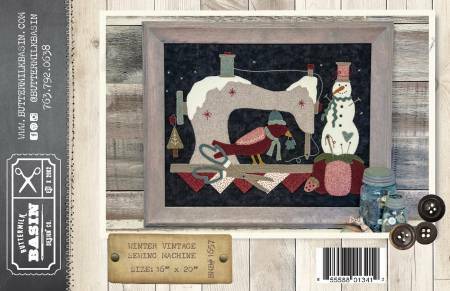 These seasonal, vintage sewing machines in wool applique are sure to be a hot seller! Would look great done it cotton applique or made into a wall hanging! SEW FUN! Size is 16in x 20in framed.